Best Buy has a 50″ RCA Plasma HDTV on clearance for $350. 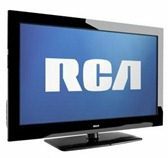 The HDTV on clearance is an RCA 50PA30RQ 50″ plasma HDTV with 4 HDMI inputs and built-in 16W speakers. It’s original list price was $599.99, though it was on sale for $499 at one point last year. In Best Buy’s clearance sale it is now $349.99. As being on clearance would suggest, this HDTV is an older, discontinued, model. And being a plasma HDTV, it’s a little heavier than LCD models of a similar size. This 50 incher weighs in at 72 pounds. However, many viewers prefer the picture quality of plasma TVs. There aren’t a whole lot of reviews for this model, just two at Best Buy. Both reviewers rated it 4 out of 5 stars. Supplies are limited. Best Buy has an availability lookup to see if the HDTV is still available at a local store near you. So how good of a deal is this? The next cheapest 50 inch HDTV on Best Buy’s website is a refurbished Sanyo 50 inch LDC HDTV for $550. Checking over at Amazon, the lowest priced 50 inch HDTV is a Hiteker 50 inch HDTV for $476.87. Will you be heading to Best Buy to pick one up? Let us know in the comments section below! The picture is terrible, big mistake buying this.. spend the extra cash and get a decent picture.. this unit is junk, folks..